MIT’s Robust Robotics Group has developed a drone with a wingspan of 2 metres that can fly through a parking garage, only using onboard laser sensors. The last minute or so is probably the most amazing tech video I’ve seen this year, seeing the drone navigating through very confined space. Yes, this will most likely be used for military purposes, but I don’t want to think about that right now. Youtube revolution. This is the future — now go and support them for this bold move. Also, IN LEGEND clearly have the coolest base player in the universe. And who doesn’t like “piano” metal”? In the year 2010, German secret services read 37.292.862 private emails, five times as many as in 2009. The numbers for 2011 are yet unknown. In these 37.292.862 emails, 213 emails were found which were of interest. When a state interferes with your privacy, it should always a question of commensurability: does the method in question improve security in such a drastic way that it is reasonable to bend a few citizens’ right for privacy? In this case, the state read ~17.500 emails to find 1 email with content of interest. In other words, in 17.500 instances privacy was undermined (read: violated) to find one person who might or might not have planned a criminal act. I’m not happy about that, because it implies that many people were accused to be criminals, and their right for privacy was ignored for that reason, in order to find one. It is not in proportion. 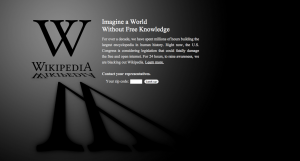 Wikipedia will be down for 24 hours, starting at 05:00 UTC tomorrow. 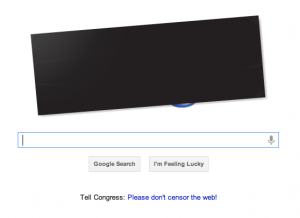 The blackout is a protest against proposed legislation in the United States – the Stop Online Piracy Act (SOPA) in the U.S. House of Representatives, and the PROTECT IP Act (PIPA) in the U.S. Senate. If passed, these bills would “seriously damage the free and open Internet, including Wikipedia”. (EDIT4, January 19th: open letter by Neil Gaiman and “musicians, actors, directors, authors, and producers” against SOPA and PIPA). “It is the opinion of the English Wikipedia community that both of these bills, if passed, would be devastating to the free and open web. Most of you know how important sound is to me, and I couldn’t believe my ears when I heard what this little device does to the sound of my laptop. A friend of mine owns one, and after trying it for a couple of hours I had to get one. They are cheaper in the States, but also very affordable in Germany. Increasing the sound quality by 500% for 42€ sounds like a good deal to me. 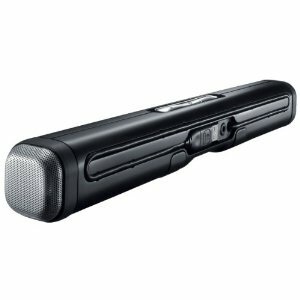 You can find the Logitech Z305 for example on Amazon. And no, I did not get money for this review. I wish I had!